Have you ever heard of Farm Chicks? It once started out as a small show between two friends. Now it is home to over 200 vendors! It's snuggled right in the great state of Washington. But not if you take your sister along for the ride! Our road trips are classic and we cherish and reflect on them often. So from Baton Rouge to Washington State we will make many stops. I know you must be wondering why in the world would we travel so far just for one show. 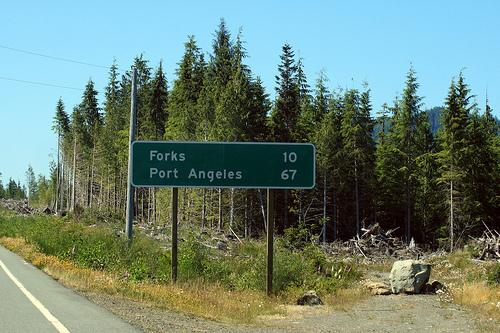 The show was based and written off of this small town in Forks. Here is the school below. Madison is coming along for the ride as well and that was her only request. 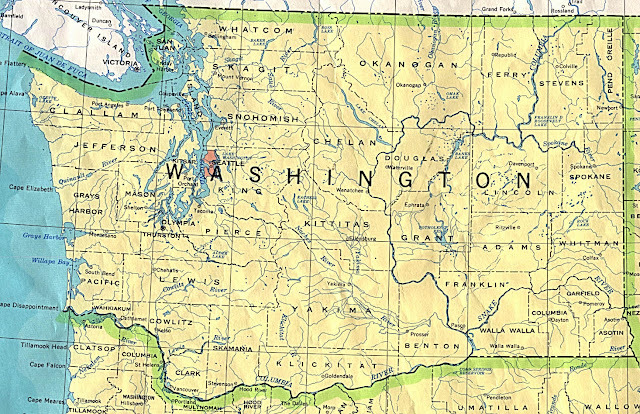 So what's in Port Angeles? He bought a home there a few years back and spends his summers there. He is planning some awesome day trips for us during our stay. So we plan to hit the highway Wednesday. If you have placed an order ...it's on it's way today! Kinda like the wait we will be standing in....ha! It's so worth the wait...I hope! Will any of you be there? We are planning to attend the Sunday Show. I live 4 hrs from Spokane and was thinking of heading up for the show! Still thinking about it but would love to see ya! Susie, That's a loooong drive! I just drove from Seattle to San Diego (18 hours) and I know the ride from SD to NOLA is 28 hours straight, so you must be exhausted!!! Hi Liz! Not yet...we leave on Wednesday so I hope to get a lot of packing done today and Tuesday. Wish me luck! Booooooooooo hoooooooooooo hooooooooooooo! I was sad to miss Farm Chicks before I read this, now I am REALLY sad. :( We fly to the east coast June 2nd. What was I thinking??????? You will have a WONDERFUL time, I'm so happy you can come and see this side of our beautiful Washington! All the best! 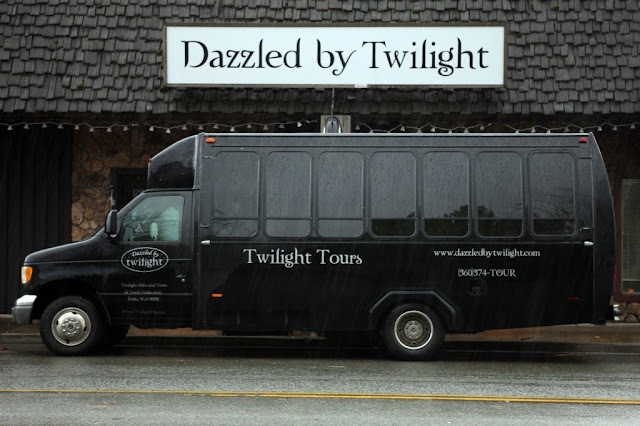 Just so you know that Twilight was not filmed in Forks. The book took place in Forks, but it was actually filmed in Oregon. 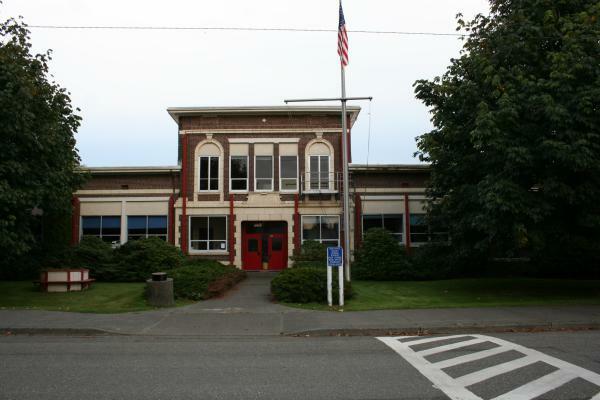 BUT, Forks does do a Twilight tour and has designated houses and schools to correspond to the book. It just doesn't look exactly like it did in the movie. I only live 2 hours away from Spokane! Lewiston, ID :) Probably right on your way up! Maybe I'll have to take a trip up to Spokane. I may also be in Spokane for the Farm Chicks show~ My parents live in Spokane (I'm from Spokane/Cheney) and we are heading over there this Friday for a few days BUT we may have to go back again the next weekend due to them moving and giving us lots of things! :) If so Mom and I will hit the Farm Chicks show. I didn't realize you all were leaving so soon! HAVE A BLAST! Wow, that is a long trip!!! Our you sure you don't want to fly?? Have fun! I personally can't stand longer than a 10 hour road trip. Sounds super exciting. I love road trips! Have a great time!! I love road trips with my sister. One year we were in Pennsylvania visiting our brother (we live in California). Well one day we bravely decided to venture out on our own. So off we went to a great farmers market our brother had taken us to the weekend before. We made it to the market with no problem, however on the way back to our brothers we were chatting, laughing and talking ---when suddenly we see a sign stating last exit in Pennsylvania. My sister and I looked at each other and said what does that mean? We found out as we crossed I believe it was into New York State. We quickly got back on the highway and found our way back to our brothers, laughing and enjoying our minor set-back as only sisters can relate too. I guess we had missed a slight right shift that we should have taken way back. Oh well that was several years ago and my sister and I still laugh about it to this day. So after saying all that--I want to wish you a wonderful "road trip". I am sure traveling with your sister, you will have many fun times along the way. I am slightly jealous, I would love to be going on a road trip with my sister up to the Farm Chicks. Have a great time, can't wait to hear all about it. OH, Susie, you're going to have so much fun! How wonderful that Madison will be along to see all the fun you and your sister have together. It'll be great for her--and for us! !-- to be along for the ride! Woohoo What a fun road trip. Drive carefully and take lots and lots of pictures! oh man, I am a little jealous. I love that area of the country! No humidity!! Your hair will look great! If you want to swing northeast to NJ and pick me up before heading west, I'm in! WHAT?!?! You're coming up here!?! Can we PLEASE PLEASE do coffee? :) I promise I'm not a total weirdo (I'm a little weird, but not TOTALLY)! :)I can't believe one of my fav bloggers (and a woman after my own sign painting heart) is coming up to my neck of the woods! You're going to have so much fun! Looks amazing! Have fun -can't wait to hear all about it! Yay! For. YOU! Fun! Now I know why Maddie thought my baby was so handsome! Twilight fan! ;) What a fun trip for her! BE SAFE! Praying for safe travels and good times. I wish I could do it this year. It would be so wonderful to meet both you & your sister. Last time your sister visited your Dad we chatted a bit. I still haven't made it over there. You three have a GREAT time!! Can't wait to hear about your adventure. What a fun adventure! So cool!! I'm in Seattle wishing I could be heading to Louisiana! Ha ha! Have a great time on your trip. I hope you find lots of fabulous stuff at Farm Chicks. My 4th year in a row from Florida! I'm so excited. I do wish all bloggers had a big sign on our chest or something to say who we are(nobody would know me but that's ok). Not sure what day we will be doing. Enjoy your trip! Wishing you an amazing trip full of sweet memories and lots of fun. Totally envious of the Farm Chicks part. Safe travels and take lots of pics! 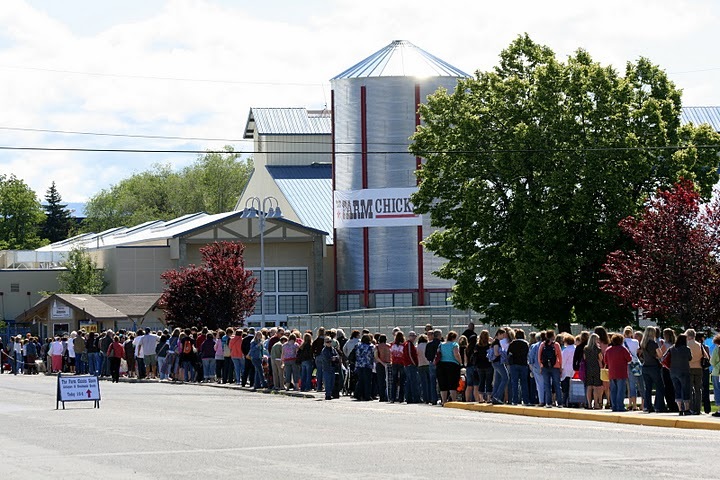 i live in spokane and love the farm chicks!! hoping to make it to the sunday show june 5th. : ) i also love your blog - not sure how i came across it, but so glad i did! 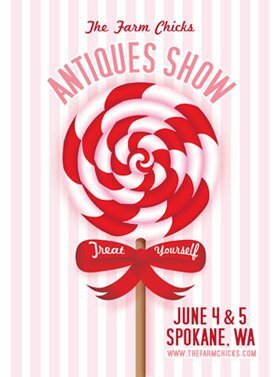 I will be at the show! I have been the last two years and love it! It is a must!!!!!! Travel safely.....and perhaps we will meet up at the Farm Chicks! I will also be attending on Sunday! What a fun time. 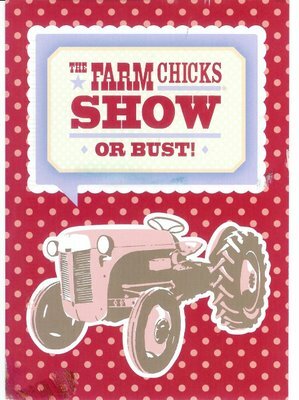 I would love to go to the Farm Chicks show. I live in the Northeast and it would be a trip clear across the country. These gas prices would kill me. This will be my 3rd year attending the Farm Chicks show. So so Worth it! Have so much fun and make sure you take a ton of pictures. There is so much inspiration there that you will forget it all!